Only last year I reviewed my first album by Chantal Acda. Memories of soft, extremely atmospheric music enters my head all adorned with that beautiful voice creating calmness and a totally relaxed mood every time I listened to 'Bounced Back' (read on here: http://wonomagazine.blogspot.nl/2017/04/bounce-back-chantal-acda.html). 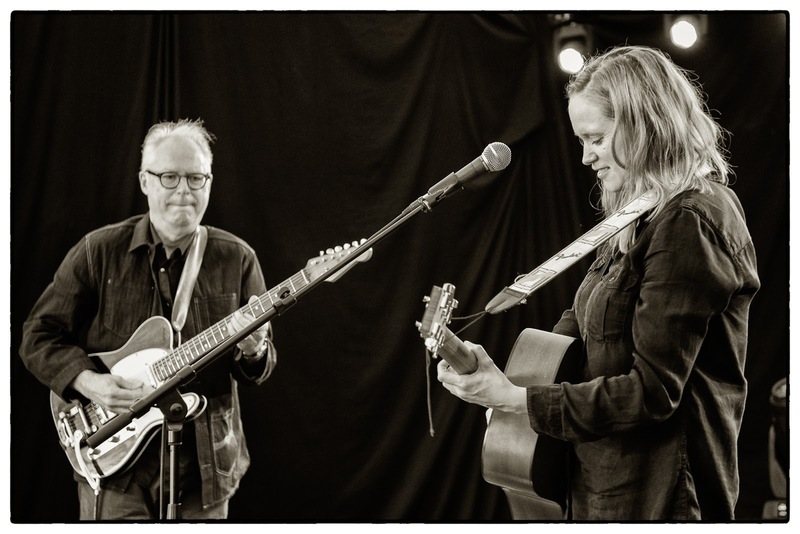 Come May 2018 and a new album is released, a mini album containing songs from a show Acda gave with jazz guitarist Bill Frisell at a Belgian jazz festival in Antwerpen. As I listened to the album I got the impression the two were made for each other. Everything superfluous, no matter how nice, is stripped away, leaving a voice and one or two guitar(s), playing flourishing notes, supporting the voice. Weaving themselves around the vocal melody. It resulted in a beautiful album where the love for this music is celebrated by two very accomplished musicians. Frisell was an integral part of the sound of 'Bounce Back'. On this stage his parts were isolated from the rest. It creates an album that has the same vibe as I Am Oak's recent solo live album. The music gets something almost sacred. And perhaps music is the new "religion" in the 2010s. Something to celebrate and enjoy alone or together, certainly leading to contemplation where Live At Jazz Middelheim or 'Pictures Of The Floating World' are concerned. Attending a show like these two must have been as close to heaven as we'll get in this valley of tears. The music simply touches me as a whole. 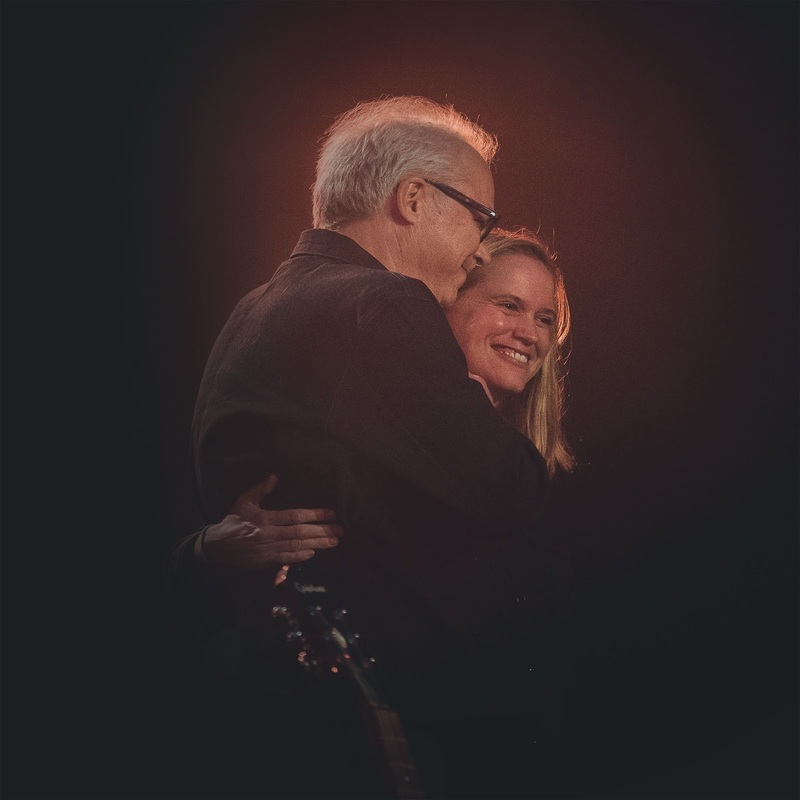 Once immersed in it, I leave all sense of space and time behind and become one with Chantal Acda and Bill Frisell. There are other universes hidden in music I find with an album like this. There are hardly any words available to me to capture or describe what is going on here. The audience must have felt so privileged to have been able to attend this show. A show that may have been a one off as well. This word suffices: beauty. It captures all happening here. I have to leave it at that and refer you to your preferred listening device, as you are about to encounter beauty should you chose to do so right now.